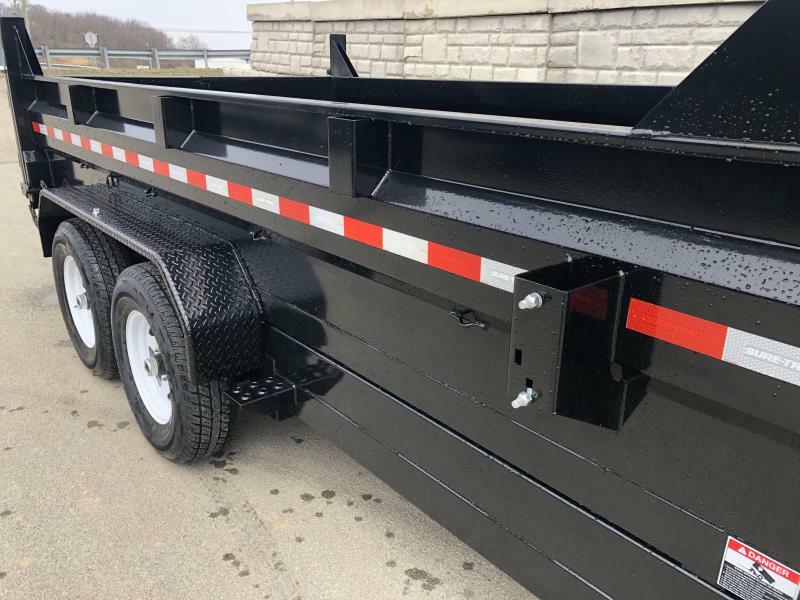 UNIT HAS THE NEW I-BEAM NECK AND FRONT FULL WIDTH GOOSENECK TOOLBOX. 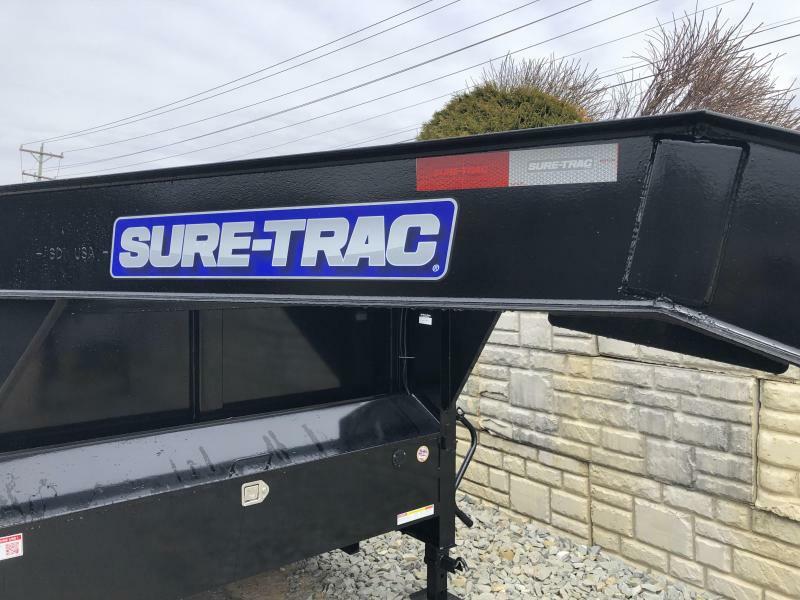 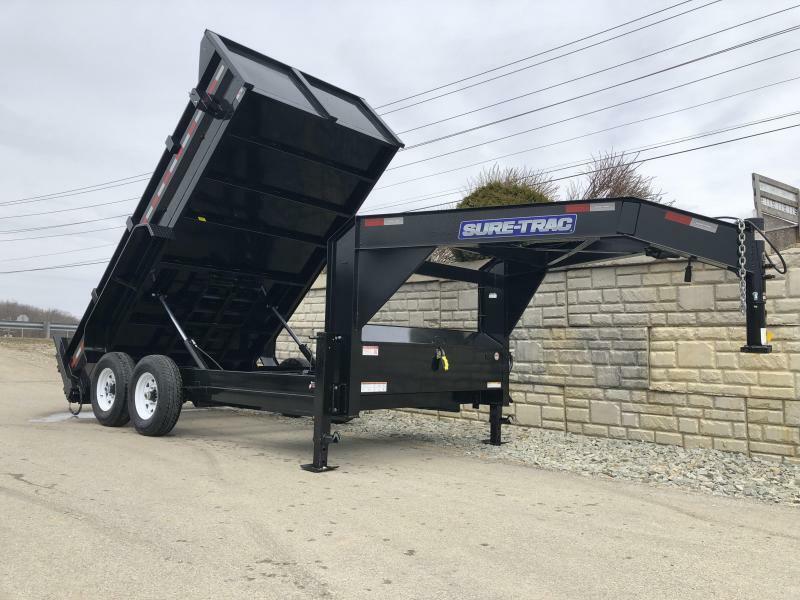 WE PREFER THE SURE TRAC DUMP TRAILER OVER MOST OTHERS ON THE MARKET DUE TO THE OVERALL VALUE YOU RECEIVE. 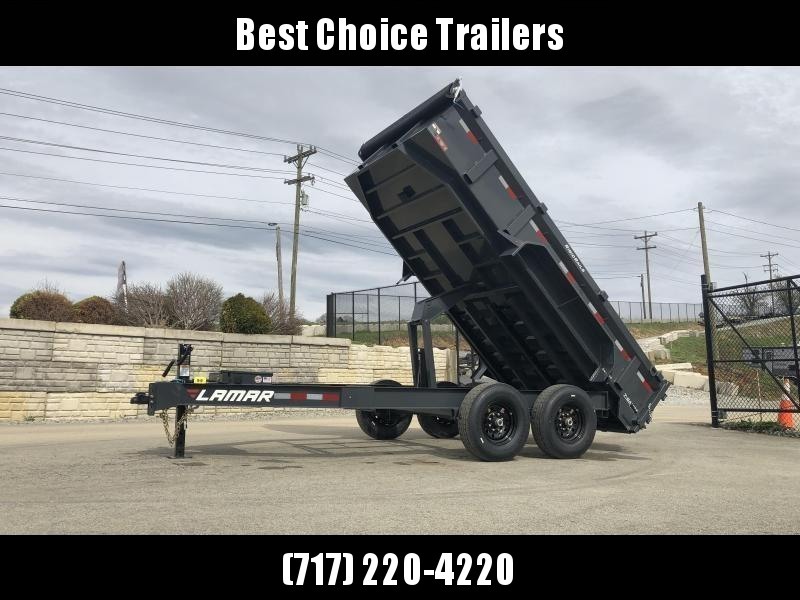 VALUE DOESN'T MEAN THE CHEAPEST (IT'S NOT), RATHER THE BANG FOR YOUR BUCK IS UNMATCHED. 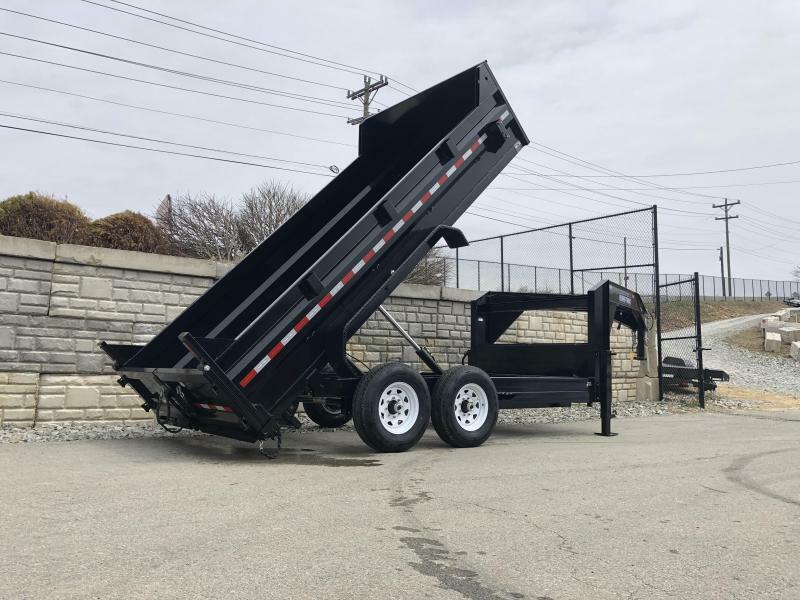 IT EXHIBITS ATTENTION TO DETAIL AND QUALITY CRAFTSMANSHIP, IS ABOVE AVERAGE IN FEATURES, IS NOT OVERBUILT BUT SUFFICIENTLY BUILT RELATIVE TO PAYLOAD WITH ATTENTION TO CRITICAL AREAS/STRESS POINTS, AND IS A VERY USER FRIENDLY DESIGN. 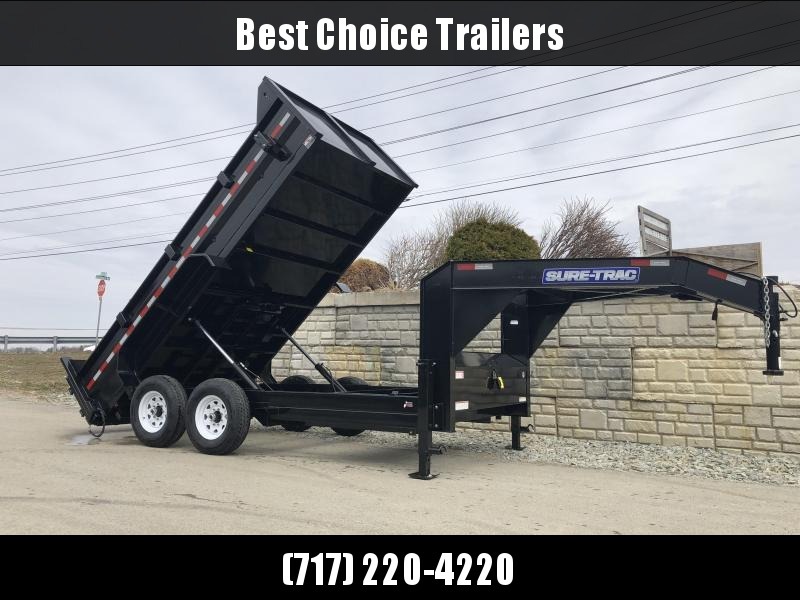 FOR THOSE REASONS, SURE TRAC EARNS OUR DUMP BUSINESS AND DESERVE YOUR CONSIDERATION. 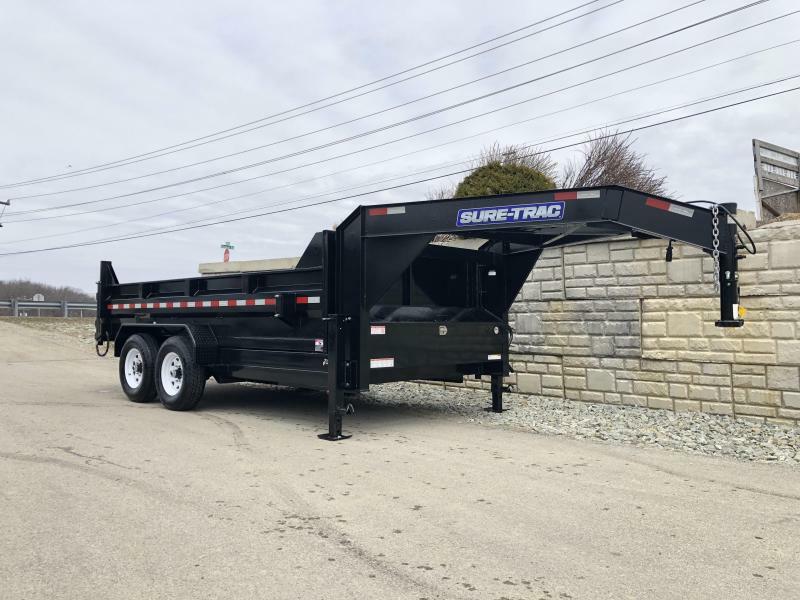 SURE TRAC DOES AN EXCELLENT JOB ON THEIR DUMPS BY STORING THE STEEL INSIDE, BLASTING THE STEEL WITH STEEL GRIT, PHOSPHATE RINSE/WASH, APPLYING ZINC CHROMATE, AND THEN POWDERCOAT. 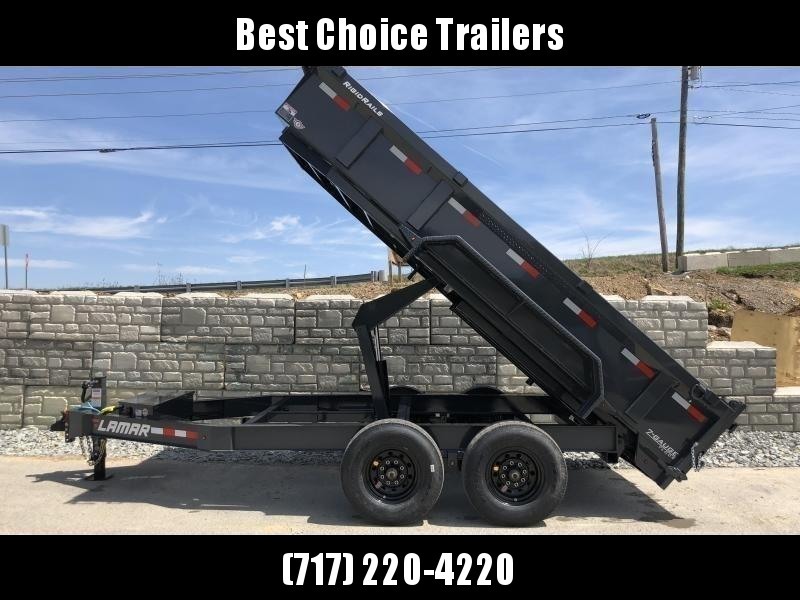 THEY BUILT A BRAND NEW STATE OF THE ART DUMP FACILITY LESS THAN 2 YEARS AGO. 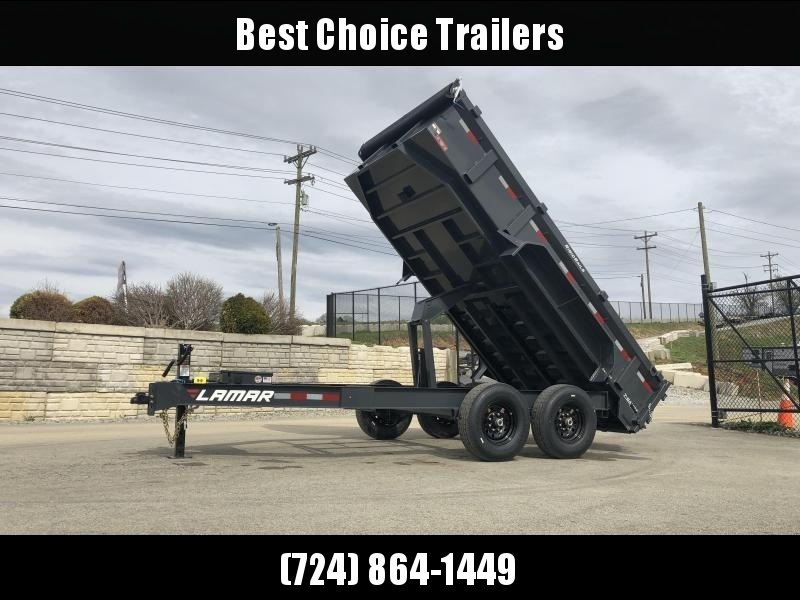 ROLL WITH A LEADER THAT'S REINVESTING IN YOUR TRAILER. 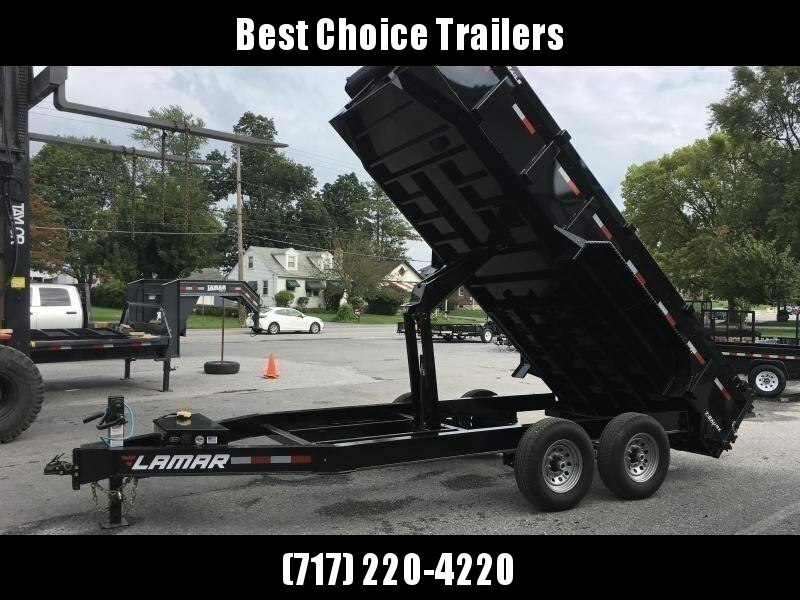 WHY IS THIS TRAILER A MORE COMPELLING VALUE THAN OTHERS? 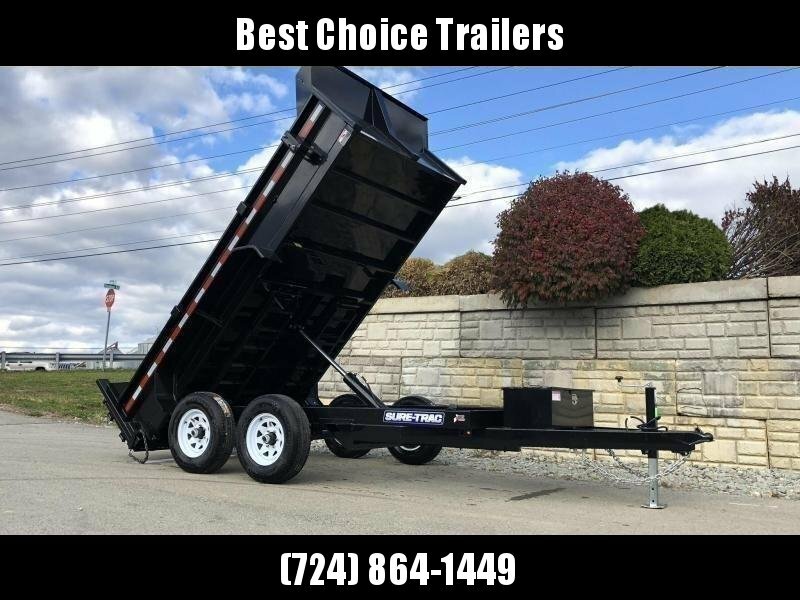 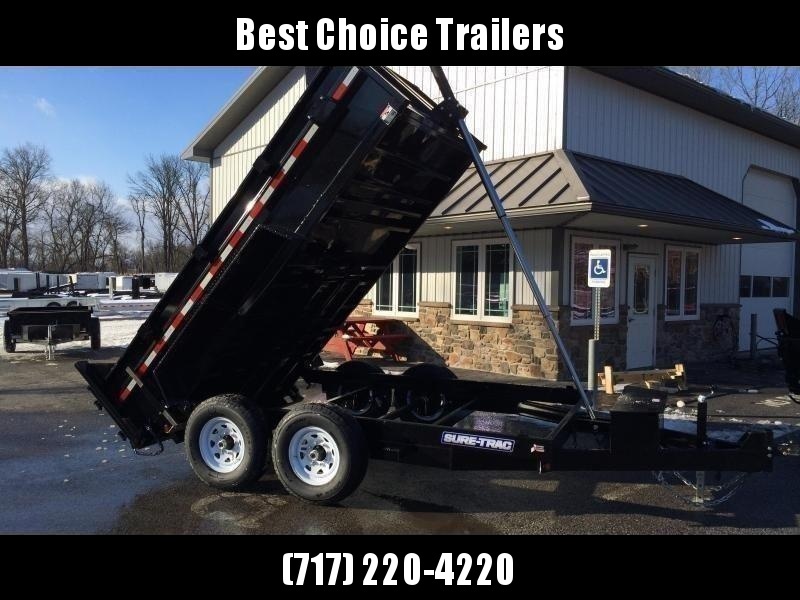 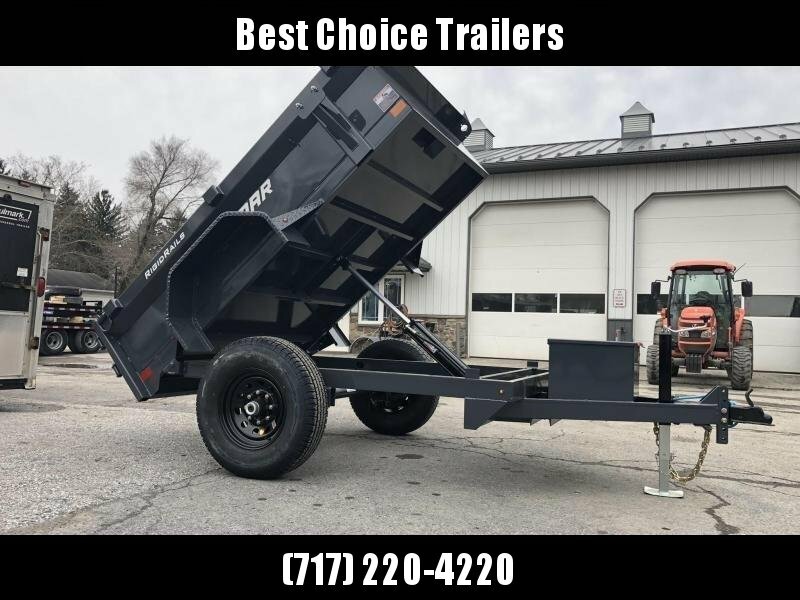 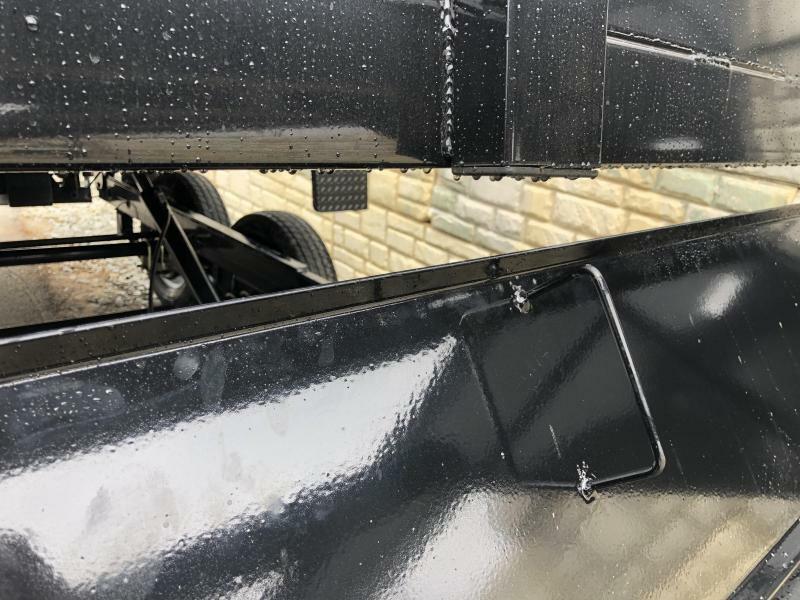 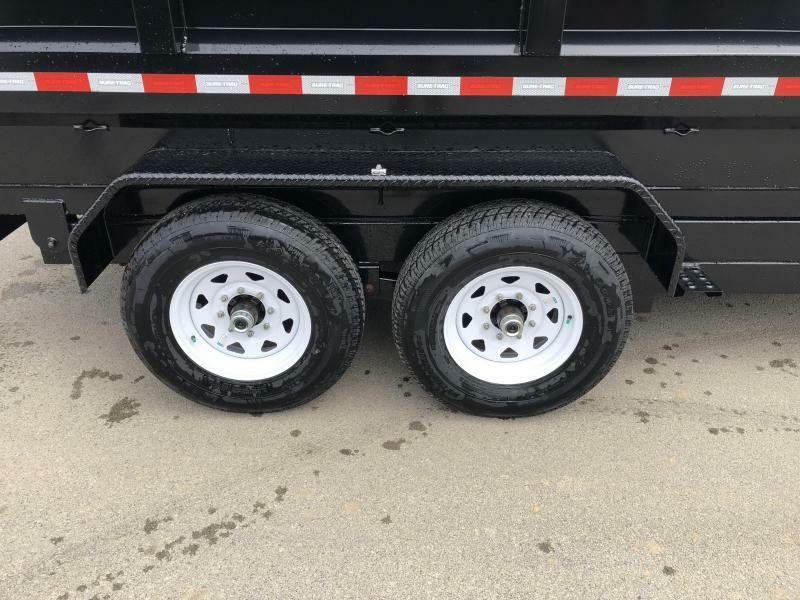 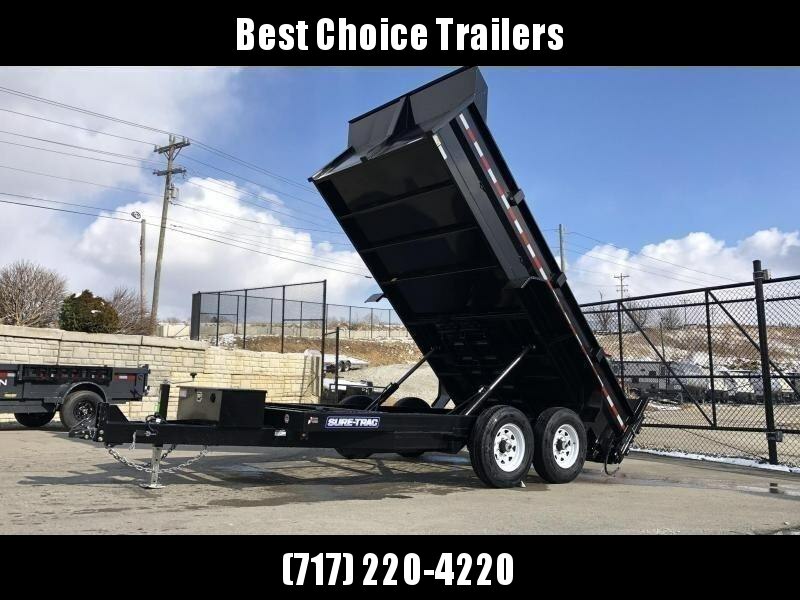 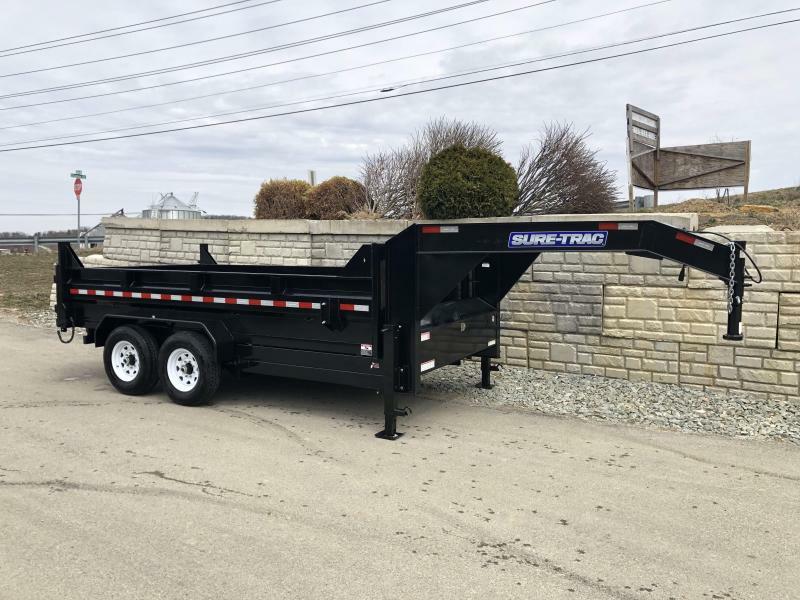 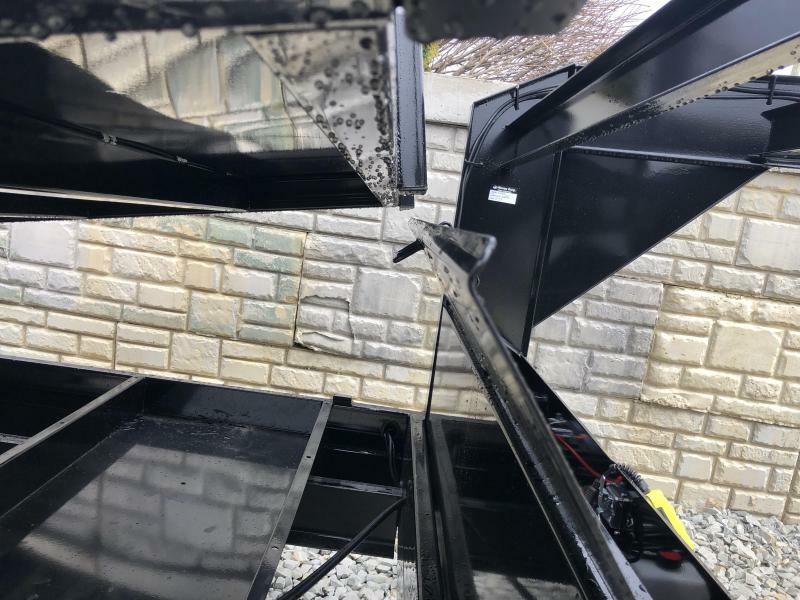 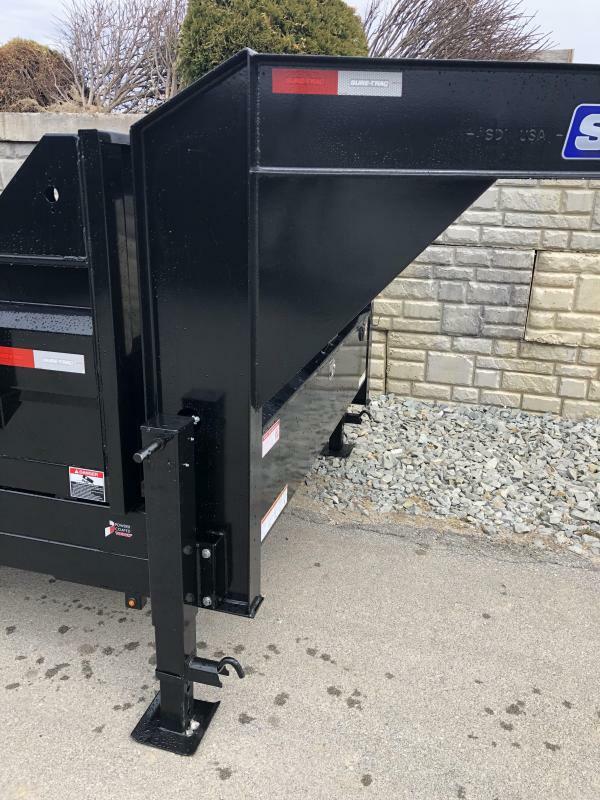 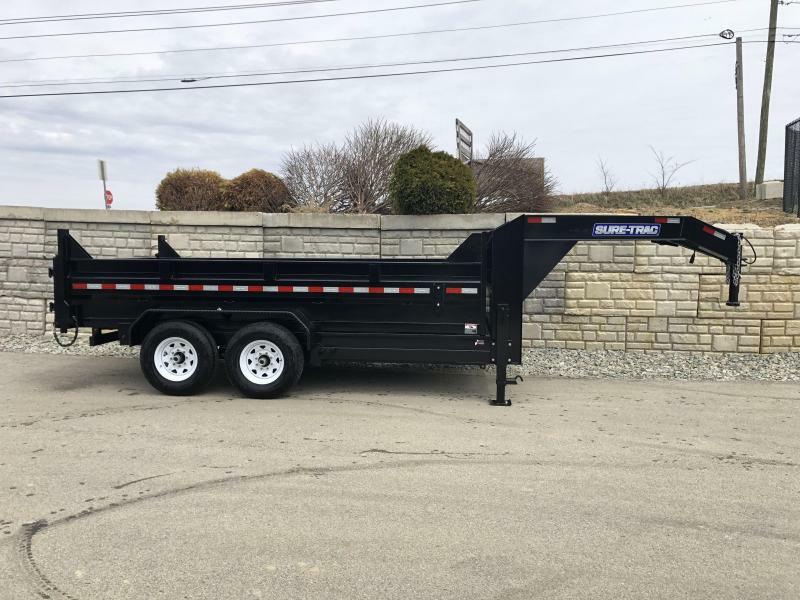 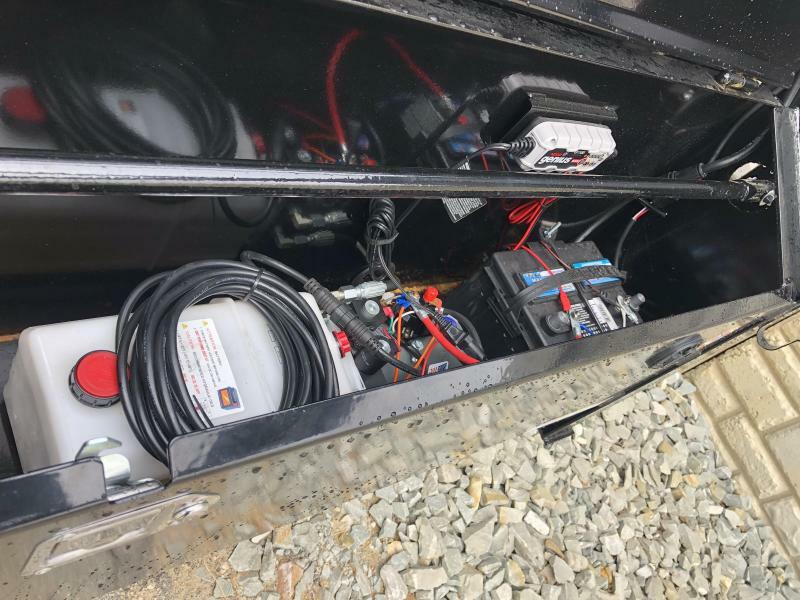 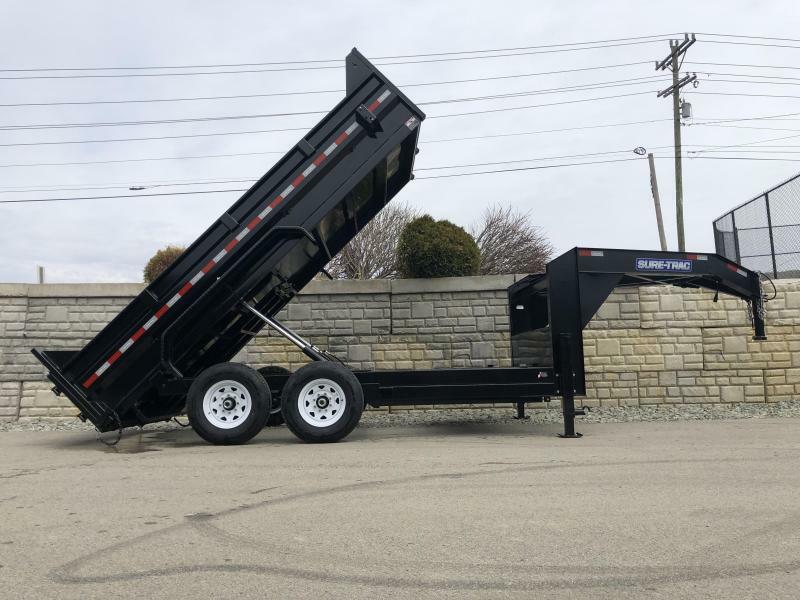 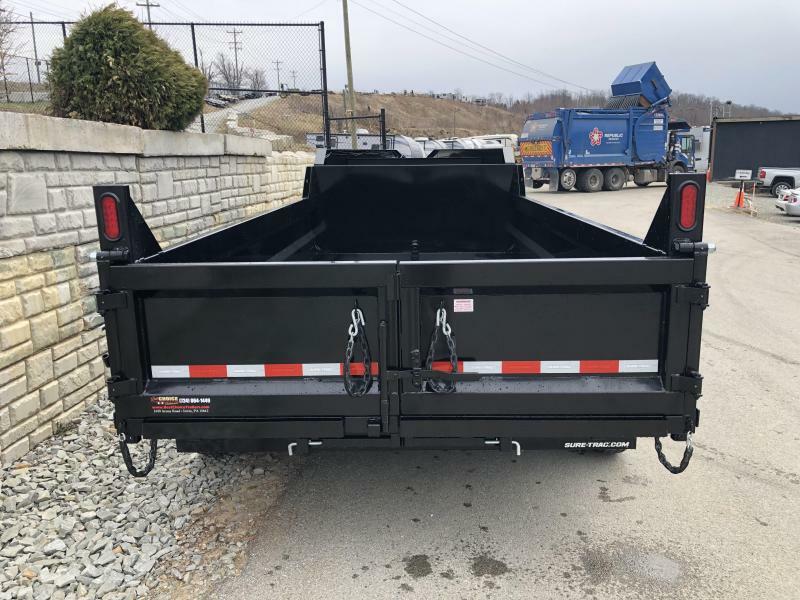 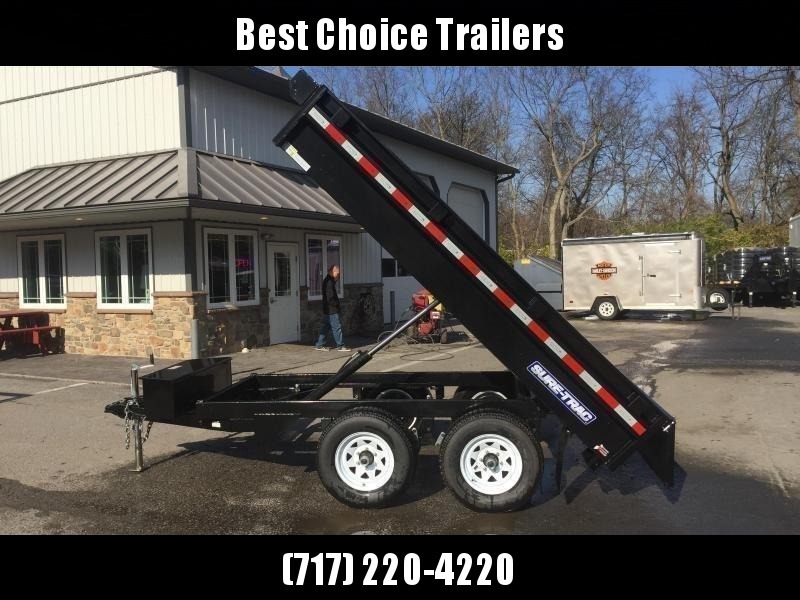 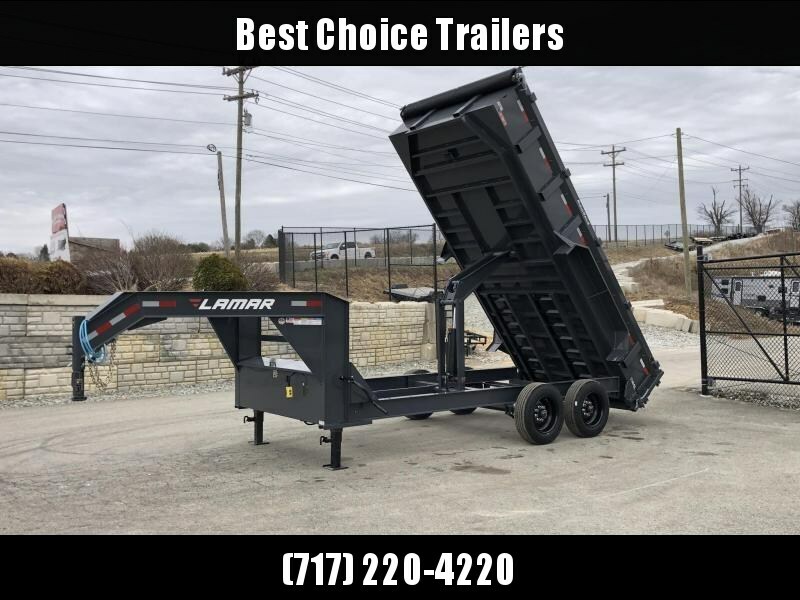 - Engineered for performance (We find many overbuild a dump trailer to get you to buy based on the number of bullet points it hits on a spec sheet. 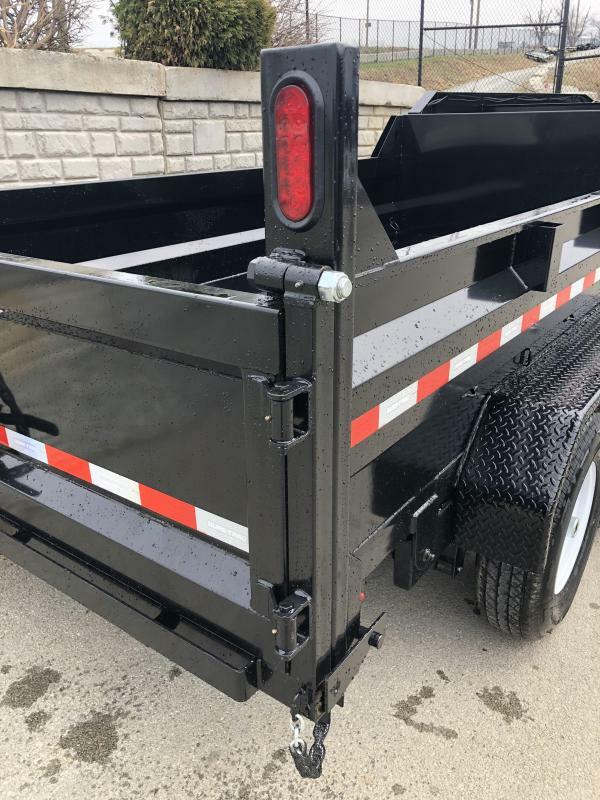 Others underbuild to hit a price point and take our all the goodies and finish quality to save a few hundred dollars. 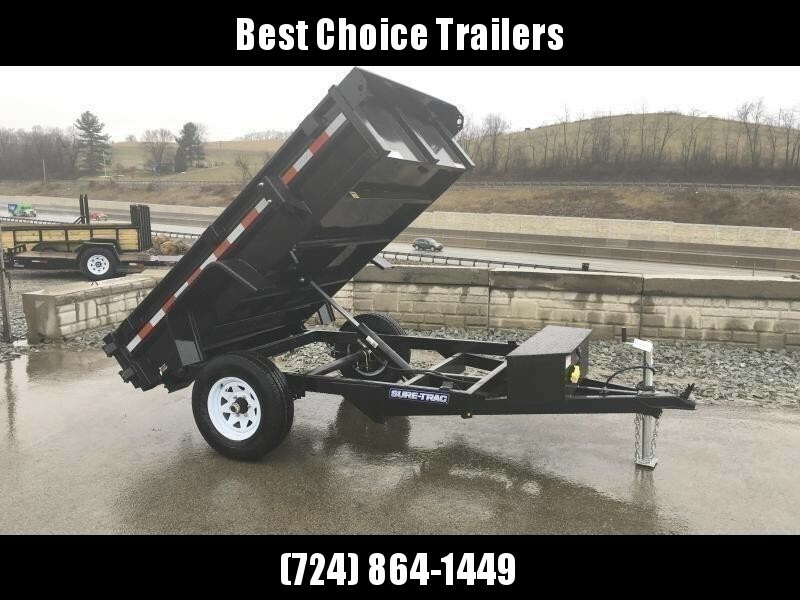 This trailer is neither in our opinion. 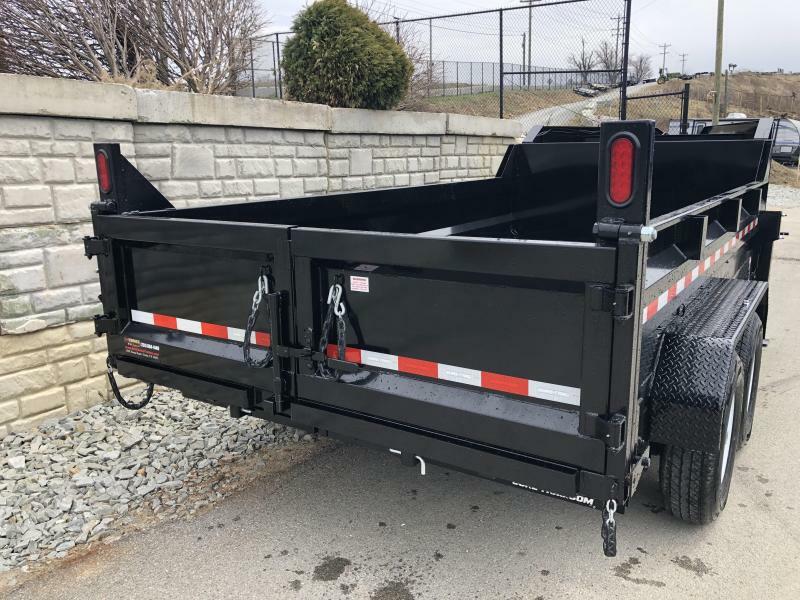 It's a trailer that has been properly engineered with payload considerations in mind while reinforcing critical areas. 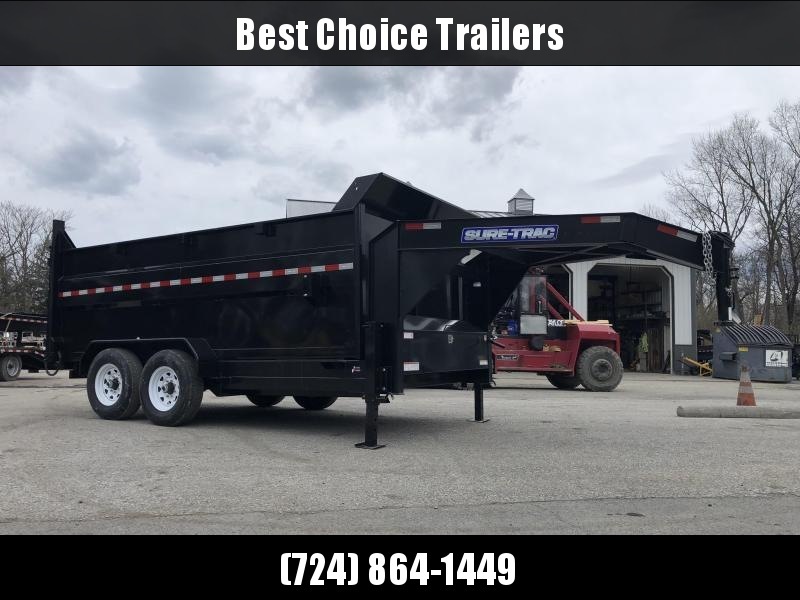 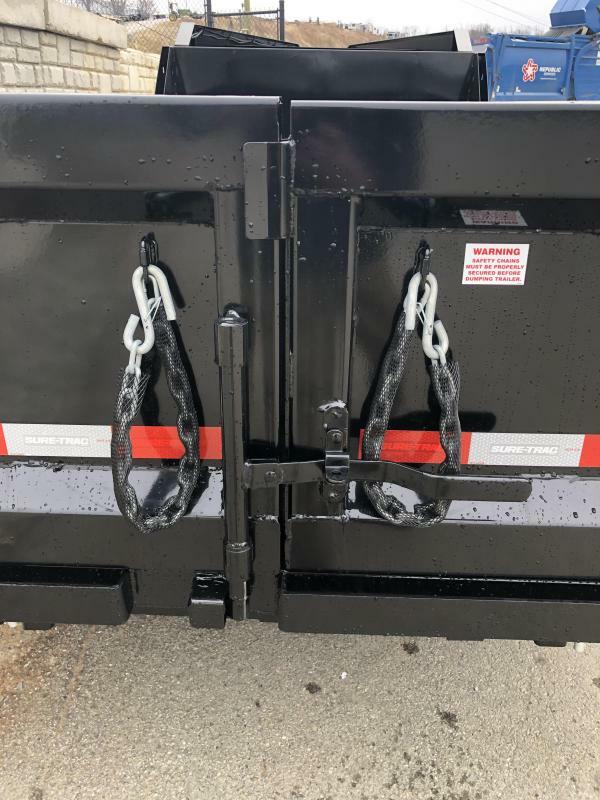 This trailer exceeds our expectations in 3 main areas: quality welds, thoughtful and well implemented wiring, and a proper steel prep). 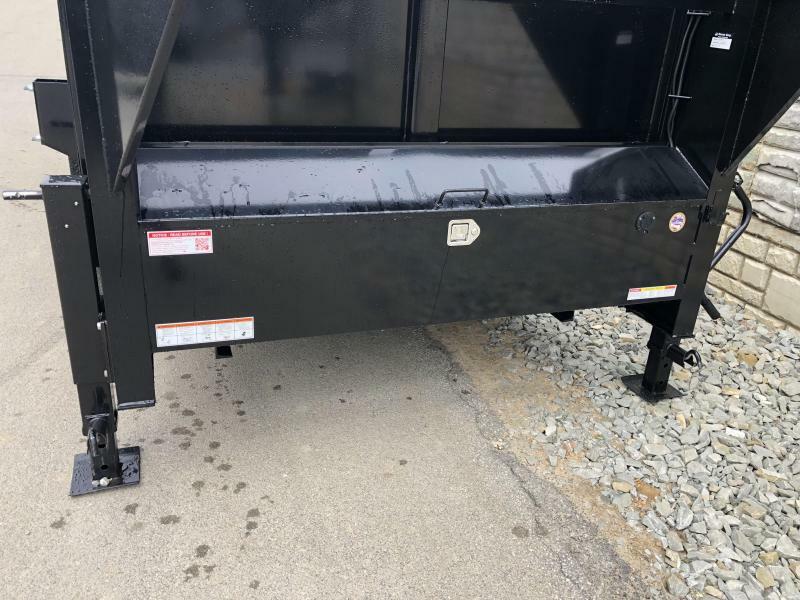 - Undermount ramps (Some still mount on the side. 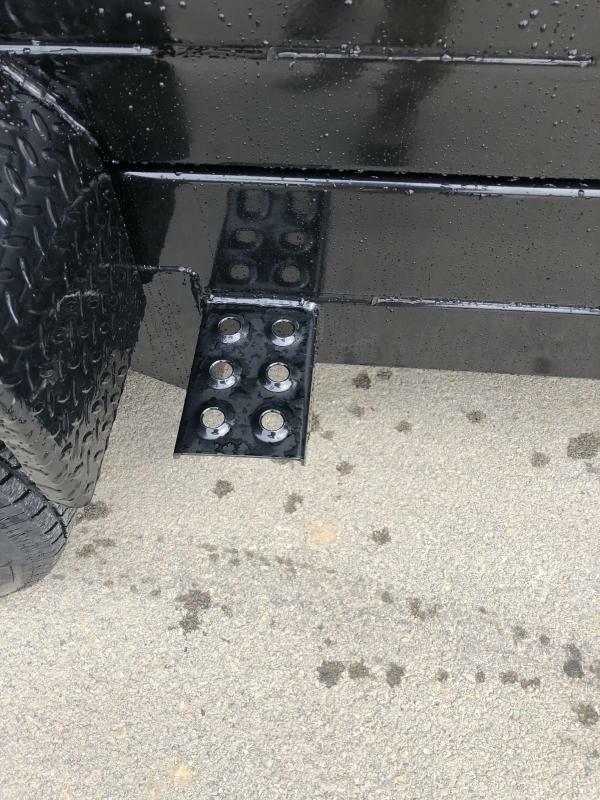 While lugging around 80+ pound ramps sounds like fun, I'll pass). 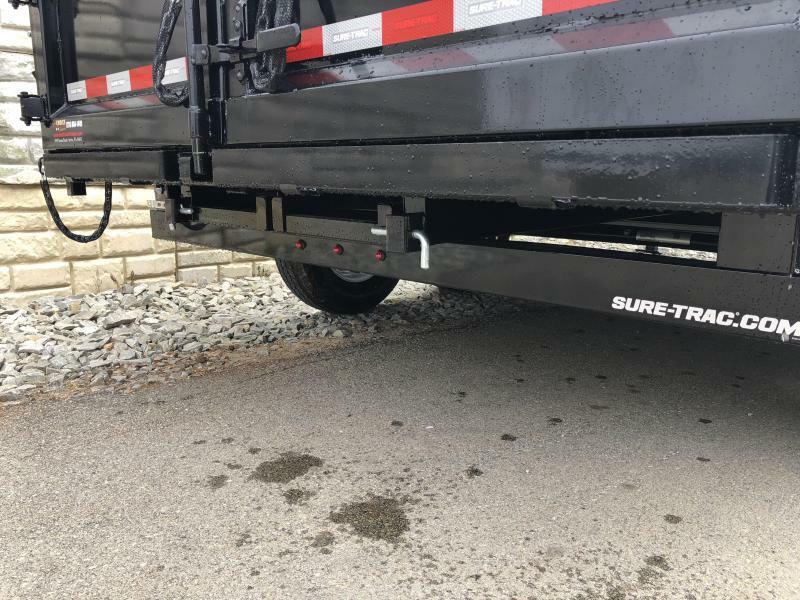 - Slipper spring suspension (Some don't use slipper's, which is a more durable suspension. 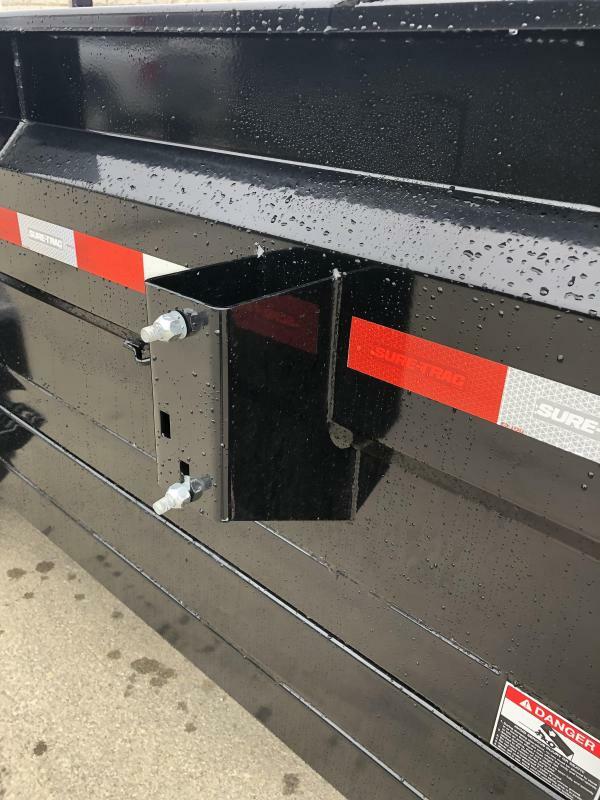 Some that do don't offer a wet bolt kit for ease of service).